Like many other things in the modern world, we are overwhelmed with too many choices. When you go to the grocery store, you see twenty perhaps a hundred different types of cereals you can have for breakfast alone and everyone is saying very loudly through advertisement and marketing techniques that theirs is the best. 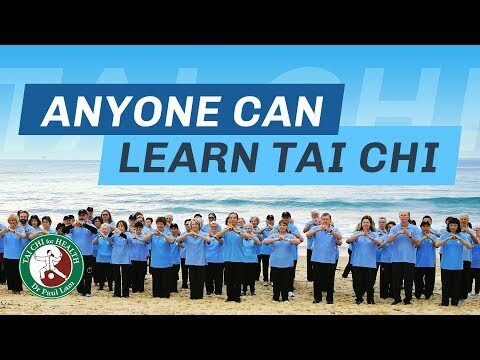 So exposed to diversity in Tai Chi can be like having too many choices, it can be confusing, it can be so overwhelming it may put you off learning Tai Chi. Let us look at it positively, take it as a challenge and benefited from the choices available to us. © Copyrights Dr Paul Lam. All rights reserved, copying for non-profit educational purpose is permitted. take it as a challenge and benefited from the choices available to us. with the little finger pressing toward the thumb with a inward wrapping force). each step and in Chen Style we drag our foot on the ground. and each step to see whether it is effective as a martial art and for qi enhancement. have more talent for, or more liking to. that helps us to practice intelligently, find out what matters and effective. properly it generates more qi and more body awareness for you. the body and with the internal body is not Tai Chi. is balance, balance of movements, of yin and yang and of internal and external. so far that you nearly fall is not good Tai Chi. only too much yin and not enough yang. and the training of sinking qi to the Dantian is an essential part of Tai Chi. inner meaning of Tai Chi and you will not benefit much from it. you. I believe the best things in life are simple. Understand simple truth. Why Learn a Tai Chi for Health Program?